Who doesn't love passionfruit? 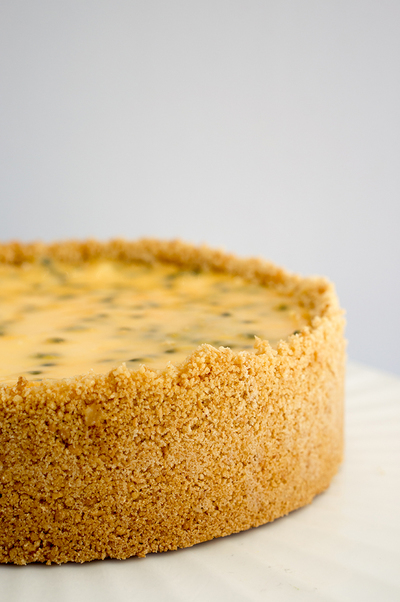 It makes everything taste amazing and this cheesecake is no exception. 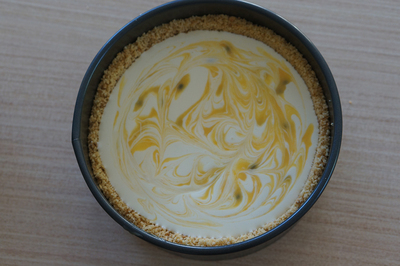 A baked cheesecake with passionfruit curd swirled through the filling and layered on top. Combined with a smooth and creamy filling and biscuit base, this cheesecake will please everybody! I have adapted this recipe to make it a little bit healthier so you can feel even better when eating it! Process both packs of biscuits in a food processor until they resemble fine crumbs. Add melted butter and combine until mixture has come together. Transfer mixture to prepared tin. Using the bottom of a drinking glass, smooth out the biscuit mixture over the base of tin and around the sides. Place tin in the fridge for 30 minutes to set. 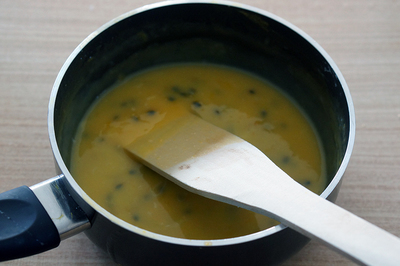 Meanwhile make the curd by combining all ingredients in a saucepan over low heat. Don’t take your eye off it otherwise it will curdle. Keep stirring until mixture boils and thickens. Remove from heat and allow to cool to room temperature. Preheat oven to 160 C while you prepare filling. Combine cream cheese and sugar in a mixing bowl and beat until combined. Add the sour cream and continue beating until smooth. Add lemon and eggs and mix until smooth and glossy (mixture might seem a bit runny). Pour half of the filling over prepared biscuit base. 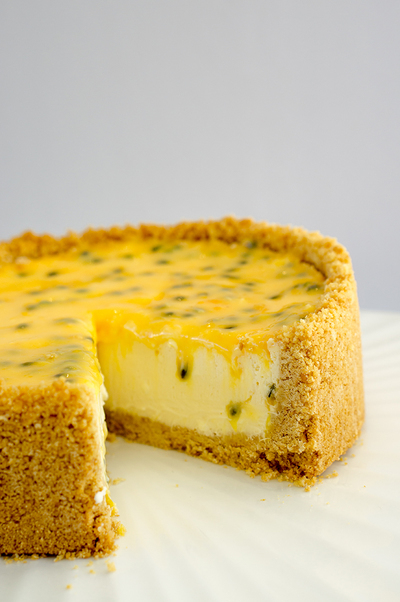 Dollop spoonfuls of half of the passionfruit mixture over the filling and then top with remaining cream cheese mixture. Dollop half of the leftover curd mixture on top of the filling and using a skewer, swirl the curd through the filling to create a marbled look. (Put remaining curd in the fridge for serving). 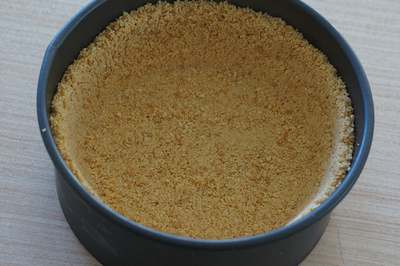 Bake cheesecake in the over for 50 minutes or until filling is JUST set (it will be wobbly). Turn the oven off and leave the cheesecake in the oven with the door slightly ajar for an hour. Loosely cover cheesecake with plastic wrap and put in the fridge to cool for a few hours. Before serving, top with the remainder of the passionfruit curd.